For ACT (T) and OCT (T) – Minimum 18 yrs. & Maximum 28 yrs. as on 01.12.2014. For the post of ACT (Trainee), relaxation in age up to 40 years as on 01.12.2014 shall be admissible to ex-Trade Apprentices of Bhilai Steel Plant who have passed AITT (68 to 75 batch) up to the year 2001. For OCT Boiler Operation – Minimum 18 yrs. & Maximum 30 yrs. as on 01.12.2014. ITI holders –Matriculation with ITI from Govt. recognized institution in the following trades: Fitter for ACT-Fitter, Electrician for ACT-Electrician, Welder for ACT-Welder, Instrument Mechanic for ACT Instrument Mechanic, Diesel Mechanic for ACT-Diesel Mechanic, Turner for ACT-Turner and Machinist for ACT-Machinist. For HVD Trade- Matriculation with Heavy Vehicle Driver (HVD) License having one year experience in Operation of any Heavy Vehicle as on 01.12.2014. Diploma holders- Matriculation and three years full time Diploma in Engineering from a Govt. recognized institute in the following disciplines: – Metallurgy for OCT- Metallurgy, Electrical for OCTElectrical, Mechanical for OCT-Mechanical, Electronics & Instrumentation or Electronics & Communication or Electronics for OCT – Electronics & Instrumentation/Electronics & Communication/Electronics and Civil for OCT – Civil. Matriculation and three years full time Diploma in Engineering from a Govt. recognized institute with either First Class or Second Class certificate of Boiler Attendant Competency as on 01.12.2014. Candidates appearing for final examination are also eligible to apply, provided they are able to produce Diploma/Mark-sheet clearly showing that they had passed the examination at the time of interview otherwise, they will not be permitted to appear in the interview. Eligible and interested candidates would be required to apply online through SAIL’s website: www.sail.co.in at ‘Careers’ link. No other means/mode of application will be accepted. Before applying the candidates should ensure that they fulfill all the eligibility norms. Their registration will be provisional as their eligibility will be verified only at the time of interview. Mere issue of admit card for written examination/ interview will not imply acceptance of candidature. Candidature of a registered candidate is liable to be rejected at any stage of recruitment process or even on joining, if any information provided by the candidate is found to be false or not in conformity with the eligibility criteria at any stage or if candidate fails to produce valid documentary proof in support of his/her eligibility. BSP reserves the right to reject the applications and no communication in this regard will be made with the applicant. b) Towards application and processing fees, candidates to possess Pay-in-Slip (SBI Challan) of requisite amount as mentioned above for the posts of OCT (T), OCT(BO) and ACT(T). The Pay-in-Slip (SBI Challan) is to be downloaded from the website after filling in the required details. c) Candidates should have latest passport size photograph (less than 50kb size) as well as photograph of signature (less than 20 kb size) in digital form (.jpg or .jpeg only) for uploading with the application form. application cannot be changed and no benefit of other category will be subsequently admissible. summarily. No communication will be entertained from the applicants in this regard. the candidates at the time of interview. Otherwise the application is incomplete and liable for rejection. A copy of Pay in Slip with journal number and date of payment indicated by Bank will be submitted by the candidate at the time of written test/ interview (as directed by BSP). 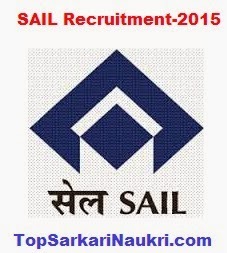 www.TopSarkariNaukri.com – Best Place to Get Sarkari Naukri 2015 Updates.